AIE works under the administrative control of Head Quarter Delhi Area with Chief of Staff Delhi Area as Chairman of the Institute Managing Committee (IMC).If a candidate wants to take admission in B.Ed courses then they should have fill the online application form .There will be a Written Admission Test (WAT) for admission to the B.Ed Course 2019 in Army Institute of Education (AIE).The institute has released 100 seats for the B.Ed. course every year. Army Institute of Education cradles a genuine concern for the pursuit of human inquiry and for increasing knowledge traditions in an environment conducive to an inspiring teacher education program. 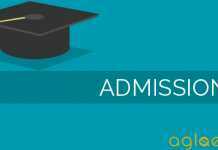 Candidates can check the details of AIE Delhi Admission 2019 application process, eligibility criteria and other information on this page below. Latest: Application form has been released now. Check here www.aie.ac.in. Army Institute of Education offers a residential full time professional pre-service teacher education program of the duration of two academic years leading to Bachelor of Education (B.Ed) degree of Guru Gobind Singh Indraprastha University, Delhi. Merit list will be prepared on the basis of the candidates’ performance in the WAT. Click here to check the AIE admission official notice for academic session 2019 -20. Wards / wives of serving Army personnel. Wards / wives of Ex Army personnel granted / awarded regular pension, liberalized family pension, family pension or disability pension at the time of their superannuation, demise, discharge, release medical board / invalided medical board. This includes wards of recruits medically boarded out and granted disability pension. Wards / wives of Ex Army personnel who have taken discharge / release after ten years of service. Adopted / Step Children and Children of Remarried Widows. Step Children are eligible provided they are born out of wedding where at least one parent belonged to the Army. Children of Widows of Army personnel who are born as a result of second marriage with Army personnel. However, children of widows of Army personnel born out of remarriage with Non – Army personnel would not be eligible for admission. 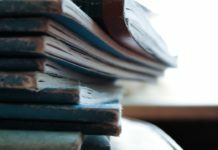 Eligibility Criteria in Special Cases. Eligibility criteria for wards of Ex Army Medical Corps Officers/Army/Dental Corps Officers presently serving with IN/IAF. Wards of only those ex-Army medical officers / Army Dental officers serving with Indian Navy or Indian Air Force who have served with the Army for 10 years. Children of APS personnel who are directly recruited into APS and of those who, as per their terms and conditions of service, retired from APS after completing their minimum pension able service. All eligible candidates should be treated at par. There will be no priority or categorization. 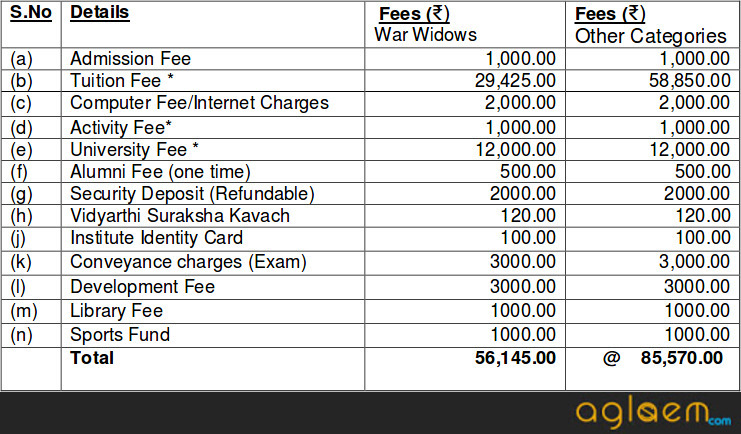 5% weight age will be given to war widows/dependent of war widows (Army). Definition of Dependent Children. Dependent children are defined as Sons/Daughters till marriage or employment which ever is earlier. 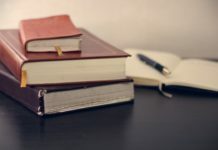 A candidate who has passed any examination of a statutory university recognized as equivalent to the course in the college shall not be permitted to appear for the examination for the same course. AIE Delhi has released application form to take admission in B.Ed for the academic year 2019-21. The form is available now at the AIE official website. Candidate have to fill the application form. Candidate can also download the same from the Application Form page under Quick Links. There will be a Written Admission Test (WAT) for admission to the B.Ed Course 2019 of Army Institute of Education (AIE), Greater NOIDA. Selected candidate will be notified by the authorities for further counselling procedure in which the date and time will be mentioned where the candidates needs to be present on time with all the required documents.At the time of counselling they need to submit all the required documents and fulfill all the queries for taking admission into the respective colleges. AIE Delhi will update the counselling dates for the students on the basis of their ranks in WAT Merit list. On the day of counselling students are requested to bring along various documents like Matric Certificate and mark sheet, Higher Secondary Certificate and mark sheet, B.A. / B.Sc. Degree Certificate and mark sheet of first, second and third year, M.A. / M.Sc. / M.Com Degree Certificate and mark sheet of previous and final year. Also, a few original certificates viz. Medical Certificate, Character Certificate of the last attended Institute / University and Migration Certificate along with six passport size photographs. For further instructions regarding the mode of payment,etc students are requested to visit the official site on regular basis. Self certified/attested copies of relevant degree and statement of marks of qualifying examination and other higher examination passed by the candidates. Character / Conduct Certificate issued by a Gazette Officer / Head of the Institution last attended, in original. Migration Certificate from the university from which the candidate has passed his / her last examination, in original. Medical Fitness Certificate. (Certificate No 8), if not submitted earlier, in original. For more details on AIE Delhi Admission 2019. 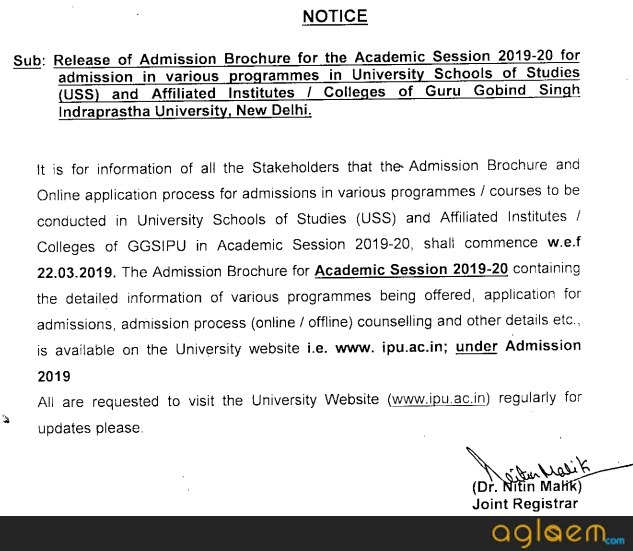 Download AIE brochure | Admission Notification.